Privileged Communications in Counseling | 8x8 | 8x8, Inc.
Privileged communications in counseling allow counseling clients to be protected in the context of their relationship to the counselor. Counselors can't be compelled to share what they hear from clients with a court. This allows people to freely share information of a personal nature in a private counseling session without fear that the counselor will share it later. Similar to client-attorney privilege and other forms of protected communications, privileged communication in counseling allows people to share information that could otherwise be self-incriminating. It is an important part of personal rights in many countries. For our purposes, we'll discuss privileged communications as it operates in the United States legal system. 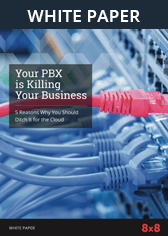 VoIP and UCaaS systems are not witnesses to privileged communications, but are conduits transmitting and enabling privileged communications. As such, they cannot be compelled to provide information and aren't a violation of privilege. Legal offices can safely use these systems for communications. What is Privileged Communication in the Context of Counseling? In a counseling context, privileged communication protects the counseling client from having to share information or a conversation that was shared with a counselor. It also protects the counselor from having to share what a client said. In other words, a court normally can't compel either party to share protected conversations so the information can be used to incriminate the client. Privacy: The conversation must be in a private setting such as an office, home, or over the phone in a personal conversation. Relationship context: Communications must occur in a particular relationship context. Specifically, between two people in the relationship. If it is shared with a third party or a third party is present, the other party must be an agent of one of the two parties, and the third party must be necessary for the privileged communications to happen. If the third party isn't necessary, that could be a violation. Having outside people around can effectively end any privilege for a particular conversation. If the counselor is serving as the agent of an attorney, that is one condition under which the communications between the counselor and client could be protected. Counselors normally have privileged conversations with clients, too, in the process of helping them even if no attorney is involved. How Does Privileged Communication in Counseling Relate to CCaaS, UCaaS, and VoIP Software? CCaaS (Contact Center as a Service), UCaaS (Unified Communications as a Service), and VoIP (Voice over Internet Protocol) systems all enable protected and privileged conversations, and as such are not witnesses to these conversations and do not destroy the privileged nature of communications. Instead, these systems allow these conversations to occur. Legal and counseling practices can rely on CCaaS, UCaaS, and VoIP systems to help them communicate with their clients. These systems can help support the privacy and security of privileged communications rather than interfere with the sensitive nature of these conversations. Encryption, server security, and other computer security features can help secure the calls counselors and attorneys make that are of a more privileged nature. Counselors don't have to worry about VoIP technologies, in and of themselves, causing a violation of privilege as long as they make reasonable efforts to secure their communications and protect the privacy of their communications with the right precautions. Protecting your client's and expert's privileged conversations is an essential part of legal practice. In a counseling context, counselors regularly have conversations with their clients that are usually protected by the law. This allows clients the freedom and security to discuss matters that tend to be of a highly personal nature and could lead to self-incrimination if a court were to hear about these private details. UCaaS and VoIP systems are not witnesses to these conversations, but are agents enabling and supporting conversations between privileged parties.